An important point to note for background knowledge is that this particular morning, I was very, very tired. I’m not a morning person at the best of times, but after a jam-packed first day touring Tokyo in 30-degree humidity, and a second day getting up at 230 AM for the fish market, this morning found me bleary-eyed and wishing I was back under my duvet. Which might explain why, while descending to our hotel lobby, I didn’t pay much attention to the other occupants in the elevator. I also didn’t pay attention when we exited and my boyfriend asked, ‘Who was that guy with the Japanese security guard?? Wearing a hat? !’ My response was something like ‘I don’t care mmhhmrgg’. Later in the day, upon returning to our hotel lobby, we saw the same Japanese security guard waiting outside the men’s washroom. Mike said, ‘Hey look there he is again! I wonder who it is!’ and I replied, ‘Don’t know don’t care mmhhmrgg’. Sweating and determined to reach our air-conditioned room, my journalistic/stalker instincts failed me for a second time. Fast forward to that evening. It’s approaching midnight, and Mike and I are grabbing a drink in the hotel lounge. I wander over to the elevators to pop up to my room, joining a rather large group of Americans entering the lift before me. They turn to wave goodnight to someone standing in the hall – I glance over and think hey, it’s the Japanese security guard! Perhaps they’ve befriended him! Only then do I hear an oddly recognisable voice bidding them farewell: ‘Alright, thanks guys!! Have a good night!’ As the doors are closing, I see that the voice comes with a pair of blue eyes that launched a thousand girlish fan-screams. 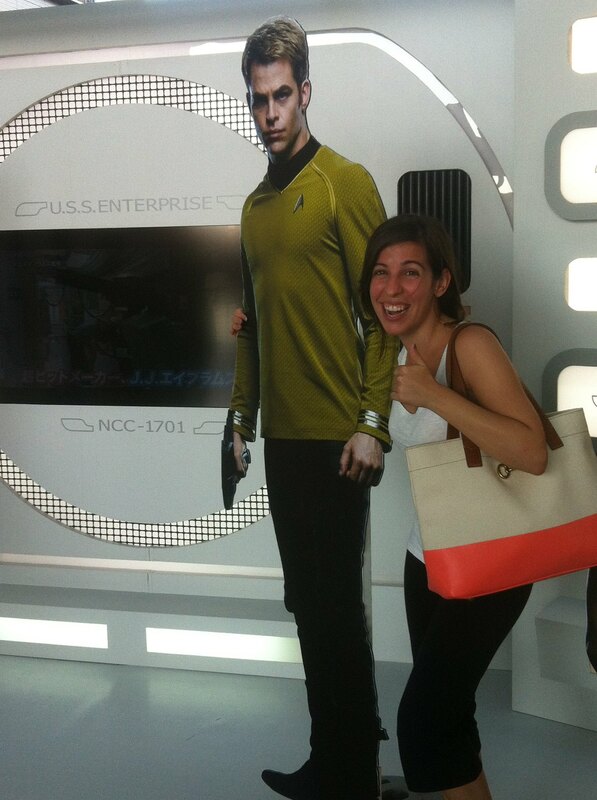 Standing there waving, as the elevator door shuts in my face, is Chris Pine. I make a half-hearted attempt to fumble with my iphone but it’s too late – I am locked in a moving box with the group of Americans. I assume they’re an unrelated posse who happened to be quicker on the uptake than I and got a few words in with Captain Kirk himself and are now going to bed. Absently scanning their faces, I have the fleeting thought that the Jewish-looking man with the curly brown hair and thick-rimmed glasses looks kind of like someone I’ve seen before, but impeded by my disbelief at having missed Chris Pine three times that day, the thought flails and dies. It’s only when I get back to my room when the penny drops. The Star Trek cast is in town for the movie premiere, and I was just in an elevator with JJ Abrams. The chance to trap him in an enclosed space and MAKE him explain the Lost finale is one that will most likely never come again. All this to say, I’m seriously considering becoming a coffee drinker. This entry was posted in Uncategorized and tagged celebrities, Chris Pine, Japan, JJ Abrams, Lost, RTW, Star Trek, Tokyo, tourism, travel on August 31, 2013 by CatherineTs. 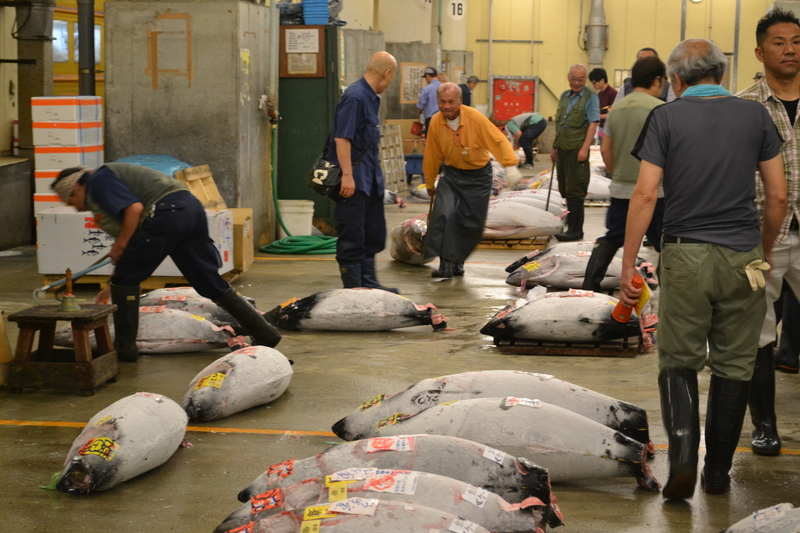 The Tsukiji fish market is an Experience, with a capital ‘E’. Officially known as the Tokyo Metropolitan Central Wholesale Market, it could alternatively be named THE SEAFOOD JACKPOT. This is where Tokyo’s restauranteurs come to wrangle over 450 kinds of fish that will later end up in front of salivating foodies, chopsticks poised in anticipation, all around the city. 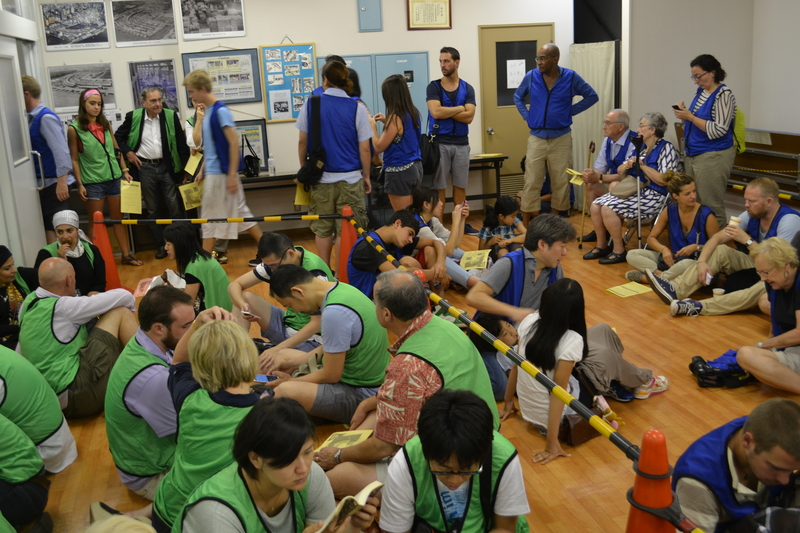 The tuna auction that happens in the early hours of the morning is particularly legendary, and attracts sushi lovers from all corners of the globe (this was actually the only thing we did all trip where there were more foreigners in one place than Japanese. Probably because the locals are more sensible and put greater value on their sleep. Or because they’ve all already done it). 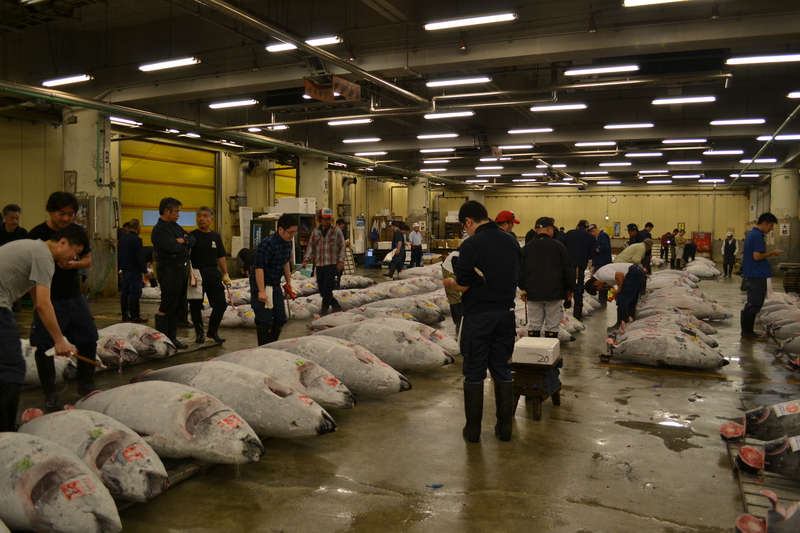 The thing with the Tsukiji tuna auction is that if you’re going to go, you have to commit. None of this strolling up at 430 AM, you stragglers!! I explain: there are two timed entrances every morning (except for Sundays and the occasional Wednesday). One is at 525 AM and the other at 550 AM, and only 60 people are admitted to each. So you’d think, grand total of 120 spaces for something that happens pretty much every day, couldn’t possibly be a line up EVERY morning. You would be wrong. Eventually we were led into the auction area, where rows and rows of GIANT frozen tuna were laid out. We watched from the center of the room, attempting to avoid the liquid by our feet (water? fish juice? couldn’t be sure), as experts rolled and sniffed bits of tuna meat, assessing the quality and making their bids. The whole thing lasted less than half an hour, then it was out into the rest of the market, which was already bustling with workers and carts as the sun peaked over the horizon. The thing to do after the auction is sushi breakfast in the outer market (the inner fish market doesn’t actually open until 9 AM, if you really want to stick it out). 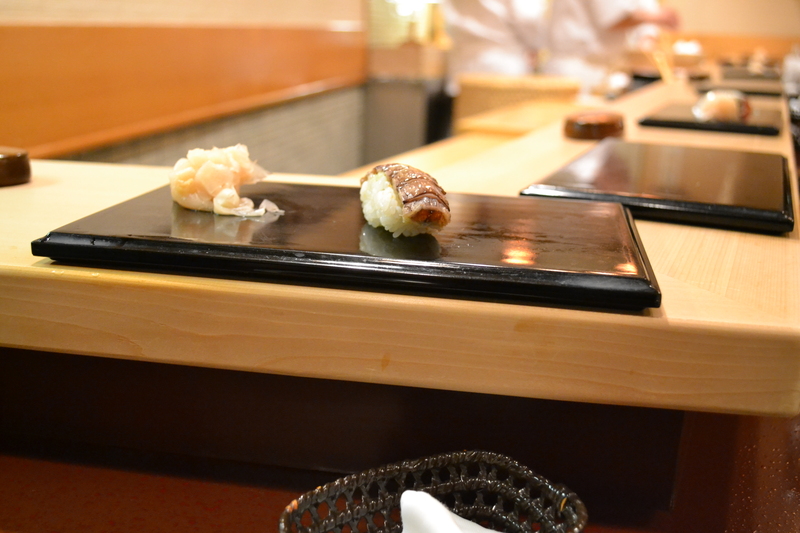 A quick tip for breakfast – everything we had read recommended a place called Sushi Dai, so we got in line and managed to stay upright when we were informed it would be a 4 hour wait. An hour and a half in, starving, covered in sweat and unable to hide from the sun, we took the advice of a nice man who mentioned his family had just eaten at a place right beside Sushi Dai and it was great (that’s what he said outwardly. Inwardly he added, YOU FREAKS). 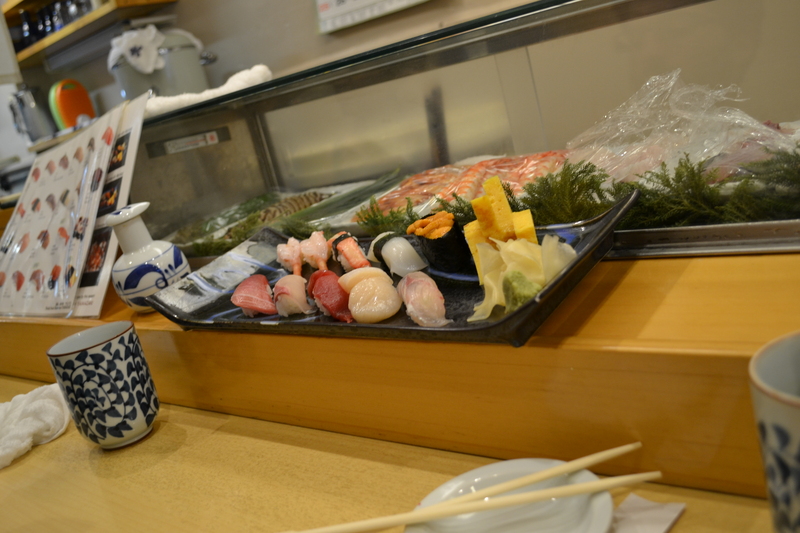 This entry was posted in Uncategorized and tagged Japan, RTW, sushi, Tokyo, tourism, travel, Tsukiji fish market, tuna auction on August 30, 2013 by CatherineTs. As I mentioned in my last post (well, the one before the post where I got distracted by the sushi), on our first day in Tokyo we did a full day tour to hit some of the main attractions (and to stop me from screaming into my guidebook. 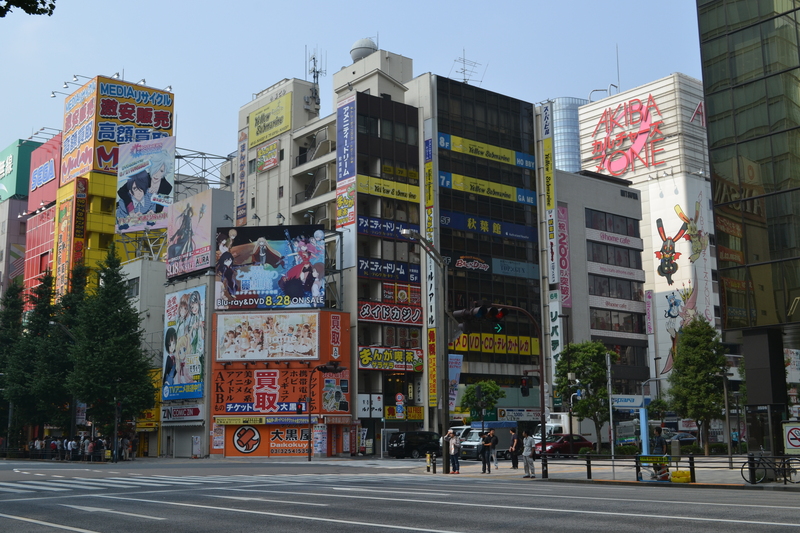 Tokyo is pretty overwhelming at first!) Our guide was chock full of fun facts and we packed a lot into the day, so it was an excellent introduction to the city (and I really like to know what I’m looking at, which doesn’t always happen with general wandering). Ah, the Imperial Palace. This is allegedly where the current Emperor and his wife live, but like Mount Fuji, I wasn’t able to see it for myself, so I can’t verify its existence (kidding, kidding – it’s only open two days a year). 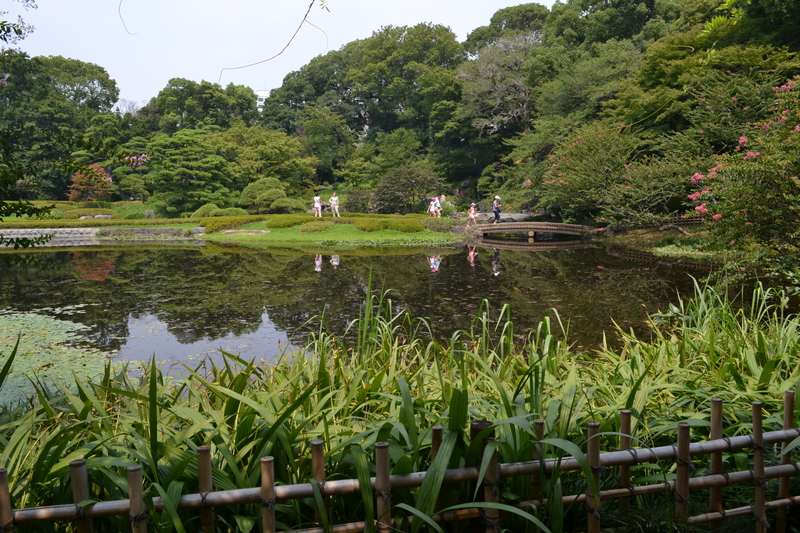 We were allowed into the East Garden, which was glorious and boasted all the staples of a Japanese garden: ponds, tea house, footbridges, bonsai trees. It has a sort of regal peacefulness about it, and you forget you’re in a major city – though skyscrapers are clearly visible from most areas. Classic meeting of old and new. The Asakusa neighborhood is right off the Sumida River and has a fun, colorful vibe – it has a great market area where you can get touristy souvenirs and delicious treats. 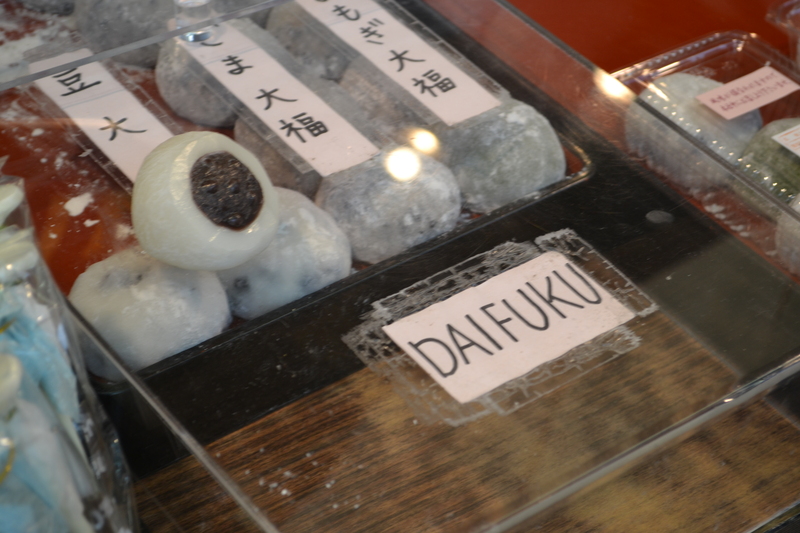 Mike is a huge red bean fan so we found some daifuku (rice cakes with sweet fillings). 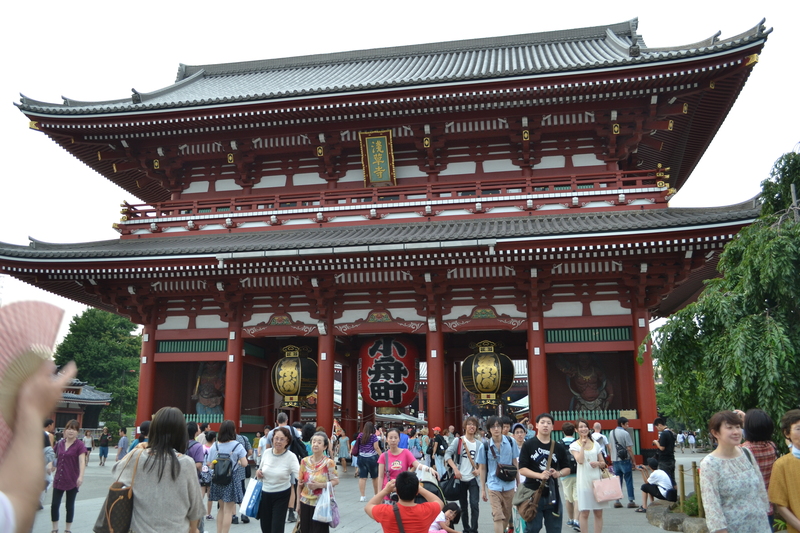 The main attraction is the Sensoji (or Asakusa Kannon) Temple, Tokyo’s oldest, and Buddhist this time. Most Japanese identify with both Buddhism and Shintoism, deriving different elements from either religion to make up a greater whole. This entry was posted in Uncategorized and tagged Akihabara, Asakusa, Harajuku, Imperial Palace East Garden, Japan, Meiji, RTW, Tokyo, tourism, travel on August 29, 2013 by CatherineTs. I couldn’t help myself – I’m just back from Japan, and am trying anything I can think of to make the sushi immersion experience last longer, including posting a photo for this week’s photo challenge, ‘focus’ (though I can’t say staring at it is doing much to stave off my lingering craving). This entry was posted in Uncategorized and tagged Japan, Jiro, postaday, sushi, Tokyo, Weekly Photo Challenge on August 26, 2013 by CatherineTs. Most workplaces in London become utterly anaemic in August, haemorrhaging workers to summer holiday spots like France, Spain and the ever-popular Cornwall. Last August I was slow on the uptake and spent most of the month hanging out with the office tumbleweed, so this year I was determined to do as the British do and get outta town! In the world of airmile savvy frequent travellers, there is something called a mini round-the-world (rtw) ticket that you can cash in your aeroplan points for. I’m still kind of fuzzy on what the rules are for your destination plans – you kind of need to speak treasure map-ese to plan a trip that’s ‘legal’ ie acceptable to the airline gods. 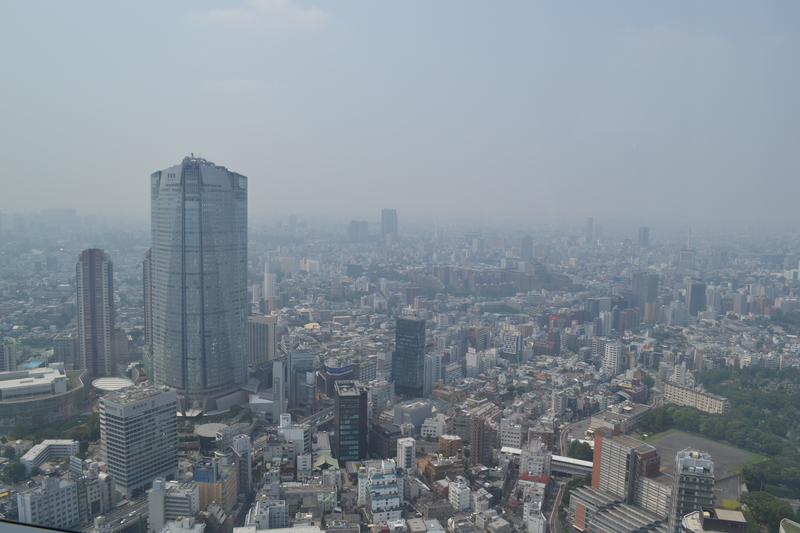 Luckily, my travel partner is fluent in such speak, so after months of planning we came up with this year’s summer holiday – a whirlwind week in Tokyo, Osaka, Kyoto, followed by a week of not moving on a beach in Phuket, Thailand. The Japanese have a saying that they use when greeting friends they haven’t seen in awhile: ‘Are you genki?’ It basically means, ‘Are you energised and full of life?’ We definitely were on this trip – hard not to be, in such fascinating places! 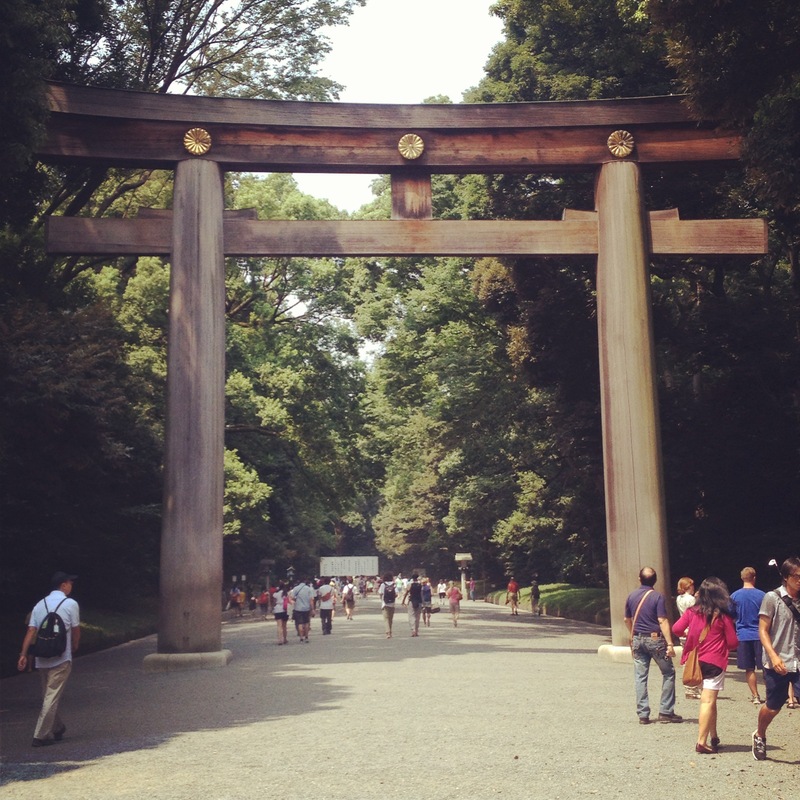 Japan is a country that a surprising number of my friends have been to or lived in, but many people I mentioned the trip to still view it as an exotic and adventurous travel destination. 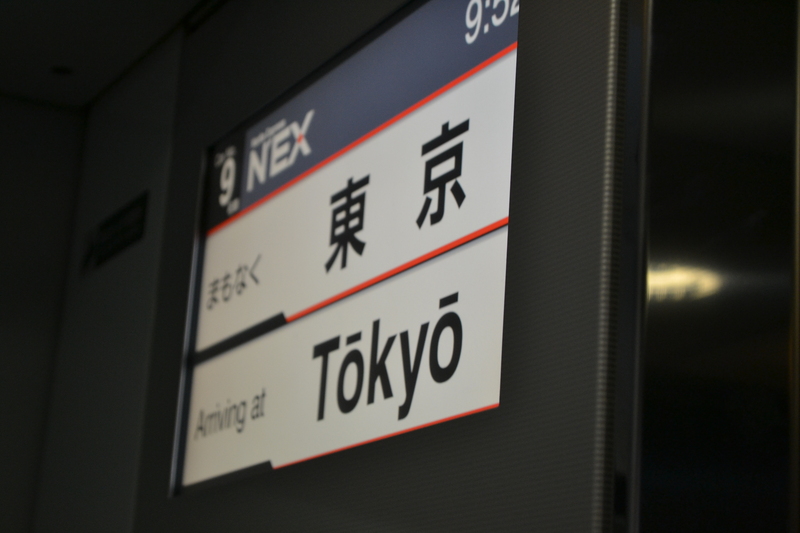 On arrival in Tokyo, I was immediately struck by how modern the whole city was, and yet utterly foreign at the same time (this thought might be personified by the Japanese toilet. A winner with many male visitors as an object of fascination). 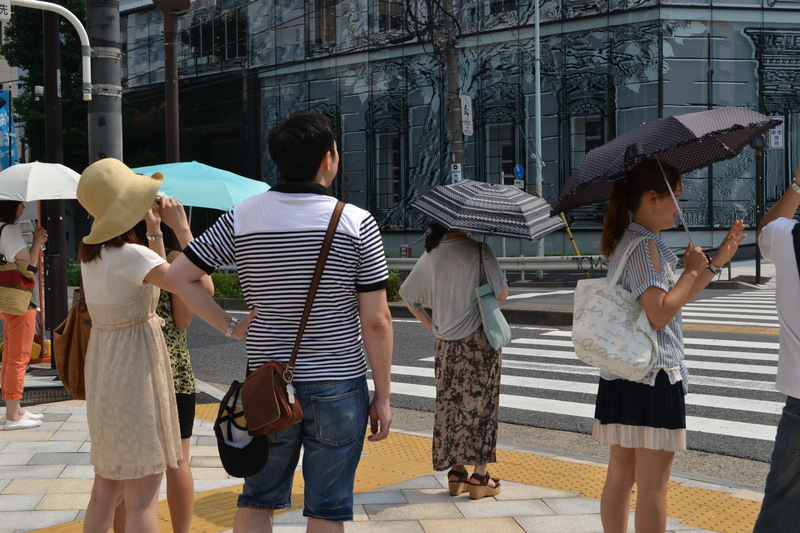 As London, Japan was in full summer holiday mode, so the majority of tourists we spotted weren’t Westerners but Japanese coming to visit Tokyo from all over the country. We may have missed cherry blossom season, but let me tell you, the parasols were out in full bloom. It was a HOT one – 30 degrees anywhere but a beach is a bit much, even for the sun dweller in me. I still haven’t figured out how the Japanese women do it – pristine hair and clothing and not a drop of sweat visible to the naked eye. Meanwhile, I gave up on any semblance of fashion and embraced the bird’s nest number the humidity bequeathed to my coiffure. 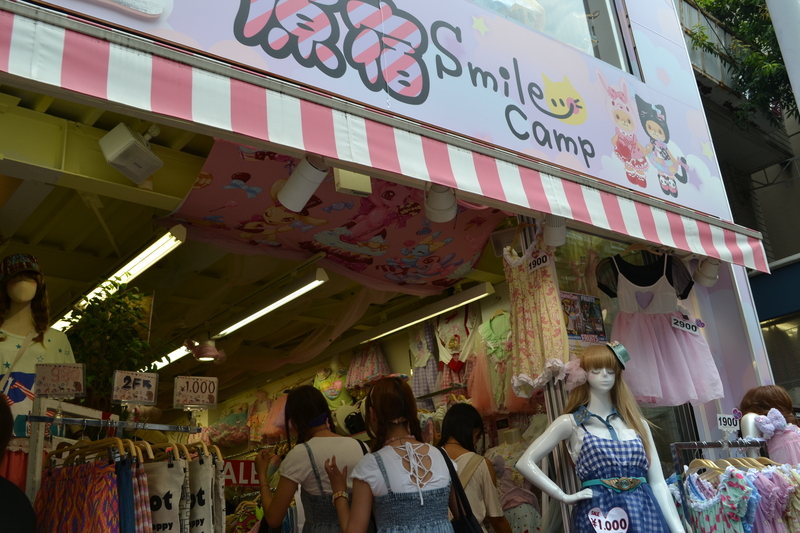 Aside from the heatwave, Tokyo was a veritable playground of a metropolis, with fun fashions, gastronomic delights and imperial history bursting out at you from every corner. Overwhelming at first, the city has so many different areas with their own flavour and attractions (though you can bet your bottom the common thread throughout each is the neighbourhood shrine. SO MANY shrines). Our first full day, we opted to do a tour, just to get our bearings, which was absolutely worth it. 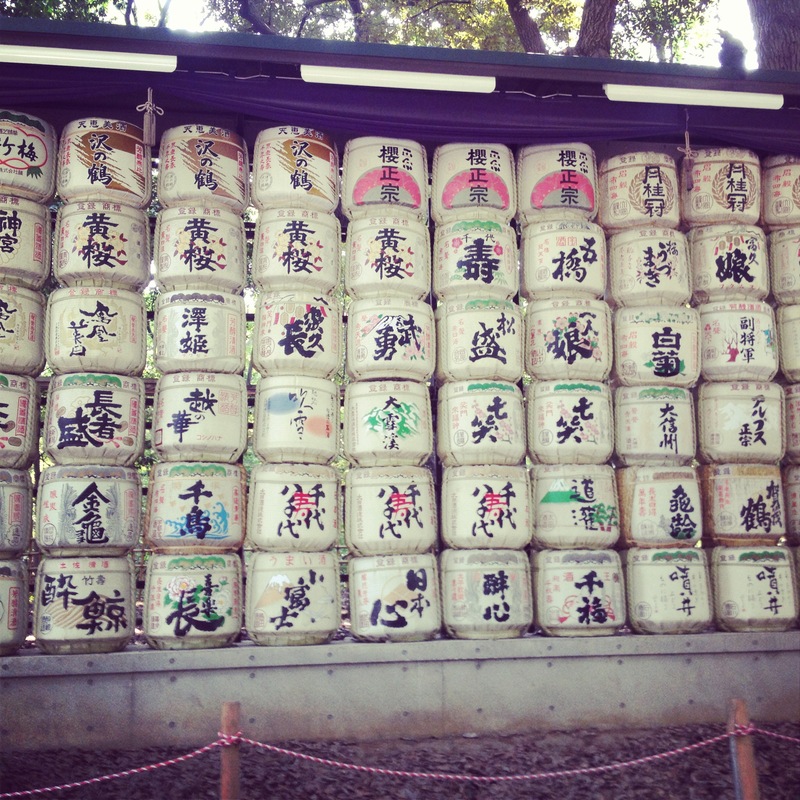 I’ll share the highlights in my next post – until then, stay genki! This entry was posted in Uncategorized and tagged Japan, London, RTW, summer, Tokyo, tourism, travel on August 26, 2013 by CatherineTs. The intrepid Kirsty has started a new blog, Two Hundred Word Travel, that does pretty much what it says on the tin. Travellers describe their favorite spots in 200 words, packing in recommendations on quirky shops, must-visit eateries, beautiful views and more. Drop Kirsty a visit and be inspired – this is my bit on London’s Piccadilly/Soho area. Brave the Regent Street crowds for a bit of shopping – make sure you turn into Carnaby Street for quirky boutiques and unique brands. Sip some delicious tea at Yumchaa and try their carrot cake to tide you over ‘til dinner. This entry was posted in Uncategorized on August 6, 2013 by CatherineTs.